Make sure to care for your newborn livestock with this simple and essential piece of livestock equipment on your farm and ranch. Your new calves need a secure and warm environment to protect them from the cold and bitter winds and temperatures of winter. They need help retaining their body heat to allow them to gain their bearings while recovering from birth. The stress of the cold can cause severe health problems and even death. In cold climates, when they are literally dropped from the warm of the mother, completely wet, onto the frozen ground, hypothermia can lead to the loss of life of even the hardiest of calves. Calf Heaters can ensure that the calf is protected from the elements and given the best environment to recover from the birthing process. The first twenty four hours of life find them exposed to the risk of hypothermia – the stress on the animal brought on by being exposed to the cold. It is extremely dangerous and must be taken very seriously as the death of your calf can result. Without the heat of a calf warmer, the young calf’s body will try and compensate by moving warm blood away from its extremities to the center or core of its’ body. Initially, the most common symptoms are shivering, rapid breathing and an increased pulse rate. The shivering can keep the calf from standing and cause an over-all lack of coordination. As the hypothermia becomes more sever, the lack of blood to the extremities can cause them to turn pale or blue as there is a lack of oxygen near the surface of the body. The internal organs begin to cool and signs of life can be difficult to detect. If left untreated, the calf can die. 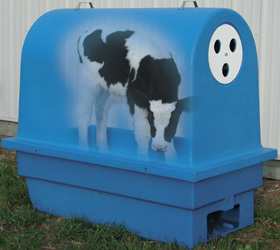 A simple and effective means of preventing the loss of a newborn livestock is the calf warmer. It is generally made out of a very durable poly-ethylene and hinged like a large clam to provide the room for a calf to stand in the comfort of warm air. They are excellent shelters and are commonly used on all farms with livestock births. They typically have a heater and a floor that allows warm air to rise through a floor and out the top vents. Due to their size, usually 4’ long and 4’ tall, they are typically designed to be towed by a vehicle to where they are needed. They can come with tow ropes and large bottom skids to make the job easier and to provide for longevity. 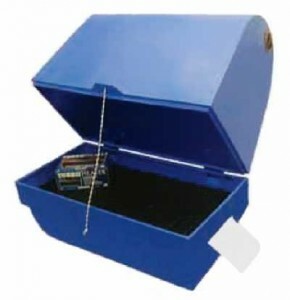 A must in all livestock supply arsenals, these simple and effective warmers will give the best care to your newborn calves and give them a health start to a prosperous life for both animal and owner. Visit Barn World for a selection of calf warmers and all of your livestock supplies or call (720) 238-2190. Now is the time to buy a calf warmer, calving pen and maternity pen. This has been a brutally cold winter all across the country – where’s that global warming? Calves are being born now. Make sure you are ready with a calf warmer in proper working condition. Our calf warmers offer the best possible care for a newborn calf. BarnWorld.com sells calf warmers made of long-lasting polyethylene for durability and easy cleaning. The calf warmer creates the perfect closed environment for a newborn during those first critical hours after birth. The heater, located in a separate enclosure at the rear of the calf warmer, uses a circulating fan and automatic shutoff thermostat to regulate air flow and keep vulnerable newborn calves warm. The inside of the calf warmer has enough room so the calf can either stand or lie down. The calf’s instinctive identity scent is not removed, so waiting mothers will reclaim their rejuvenated infants at once. BarnWorld.com also offers replacement heaters for calf warmers. Make sure yours is in good working order or get one of our replacements before you really need it. Don’t end up with your calves in the cab of your truck to keep warm. Now is also the time to think about getting a calving pen or maternity pen. 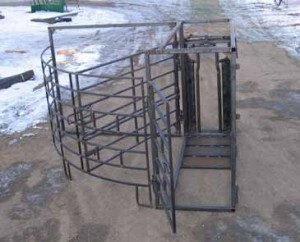 BarnWorld.com carries two types of calving pens to help you save calves from difficult heifers. All sides of the square calving pen have an in-and-out swing gate and latch for easy access from any direction. The circular maternity pen has a confinement pen and nursing panels on two sides. You can get an optional self-catching headgate with either model. Be ready for calving season. Order your calf warmers, calf warmer heaters, and calving pens now. Call us for shipping quotes at 720-238-2190. Now is the time to buy a calf warmer, calving pen and maternity pen. This has been a brutally cold winter all across the country. Calves are being born now. Make sure you are ready with a calf warmer in proper working condition. Be ready for calving season. Order your calf warmers, calf warmer heaters, and calving pens now. Call BarnWorld.com for shipping quotes at 720-238-2190.